Saat Anda menginap di Komaneka at Keramas Beach di kota Gianyar, Anda akan berada di pantai, hanya 15 menit berkendara dari Bali Marine and Safari Park dan Kebun Binatang Bali. 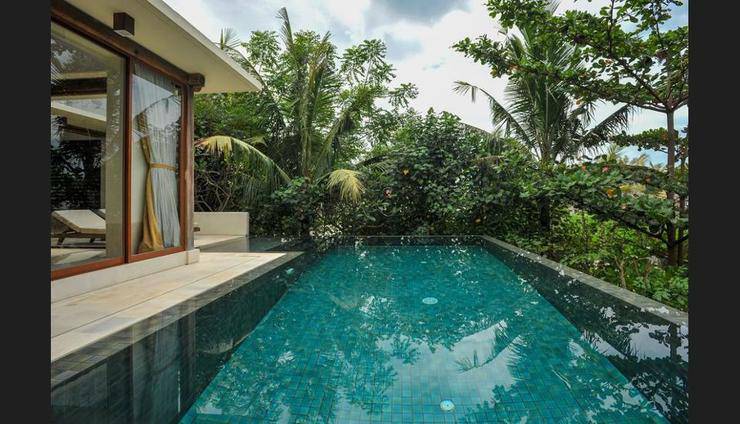 Hotel bintang 5 ini berada 8,7 mi (14 km) dari Pantai Sanur dan 11,4 mi (18,3 km) dari Ubud Monkey Forest. Ketahui Sebelum Anda Pergi Makanan paket hanya disajikan di kamar tamu (tanpa menu atau tidak melayani santap di tempat umum). 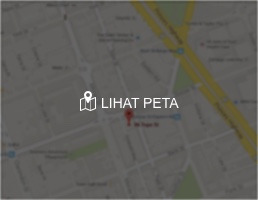 Biaya Biaya dan deposit berikut mungkin ditagihkan oleh properti saat memberikan layanan, check-in, atau check-out. Biaya sarapan lengkap: IDR 230000 per orang (kurang-lebih) Biaya kasur lipat: IDR 900000.0 per hari Daftar di atas mungkin tidak lengkap. Biaya dan deposit mungkin belum mencakup pajak dan dapat berubah tanpa pemberitahuan sebelumnya. This was our second visit to Komaneka Keramas and we will keep going back. Kande and his super efficient, friendly team go out of their way to make us feel at home and ensure that our every need is taken care of with a smile. The perfect holiday for us in every respect. 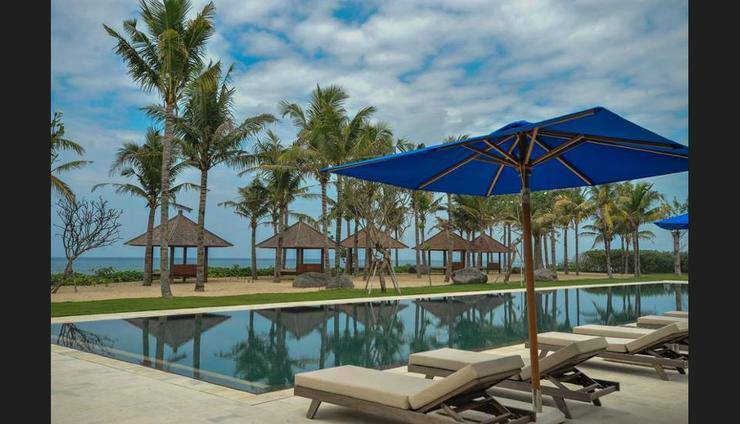 Beautiful private Villa and Pool, delicious food and dining experience, great surf on our doorstep, a 40m pool for morning exercise, relaxing Massage and Yoga, a well equipped Gym, lovely gardens and surrounds providing a peaceful and tranquil atmosphere for a relaxing holiday. 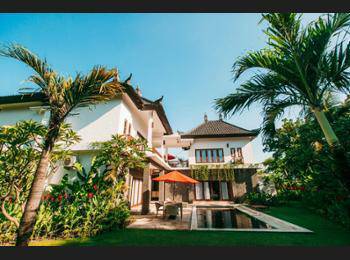 We have stayed at Komaneka Bisma in Ubud before and decided to also try the new addition to the Komaneka resorts at Keramas Beach. The team were welcoming and friendly with excellent service at all times. The authentic Balinese menu in the restaurant ( with wonderful sea view) was great. 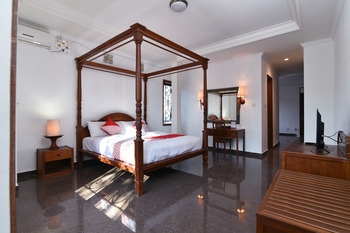 Our villa with pool was very private and immaculate with every convenience supplied. The transfer between Ubud and Keramas was smooth and professional. 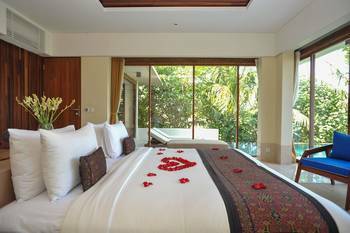 We definitely will return on our next trip to Bali and will recommend the resort to friends and family ( would be great for honeymooners). We arranged for hotel pickup at the airport and the driver was there when we arrived. When we reached the hotel lobby, it was not impressive. We were warmly greeted by the hotel staff with cooling welcome drink. However, this is just a beginning to a wonderful experience during our stay in the villa. I was puzzled initially when they constantly greeted us "welcome home" soon enough with their attentiveness to our needs throughout our stay there, I felt very much at home. Upon unpacking in the evening, I realised that I forgot my makeup remover, called the reception to check if they have any for purchase at the spa, since Komaneka has no convenience store within walking distance. The recept told me they do not have but, to my surprised, the staff volunteered to help me get it and pass it to me the following day, which she did. The entire villa staff has definitely been well trained to care for the guests need. The breakfast selection is good. We requested for half day tour recommendation. They also plan it for us. 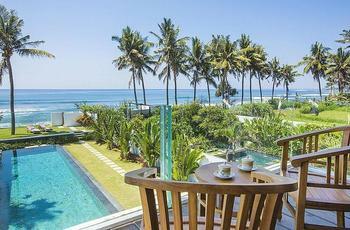 Though quiet area, but definitely not boring as there are many activities we could do in Bali. This place is highly recommended if you do prefer to have a peaceful and relax vacation. We definitely enjoyed ourselves during our entire stay in Komaneka. I just left Komaneka Keramas a week ago. But let’s start on my arrival. As I was welcomed into Komaneka before even seeing my gorgeous villa. I was already trying to extend my reservation. The property is beautiful and the staff are all accommodating and amazing. I liked the location as well, as it was close to everything I wanted to do but not in a crowded area. It really is an oasis with rice paddies in the front and peacocks roaming around in the back. I made a peacock best friend forever in Bali. The food is also top notch and facilities are beyond. I really would recommend this resort to anyone who is so lucky to visit.